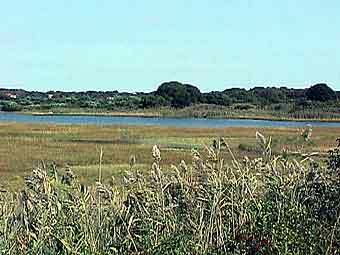 The Galilee salt marsh is an extremely productive yet fragile ecosystem containing abundant plant and animal life. This site has special significance because of the rapid loss of salt marsh habitat along the United States coastline. Before you join us on our virtual field trip to the Galilee salt marsh, read about this region's unique physical characteristics, interesting history, and current land use.